On the 27th (Mon), get to know the fascinating history of Jackson Square, then wander the streets of Royal Street, then brush up on your military savvy at The National WWII Museum, and finally take a stroll through Garden District. On the 28th (Tue), you'll have a packed day of sightseeing: contemplate in the serene atmosphere at St. Louis Cathedral, stop by Faulkner House Books, don't miss a visit to French Quarter, then make a trip to Arcadian Books, and finally tour the pleasant surroundings at New Orleans City Park. To see maps, ratings, photos, and tourist information, you can read our New Orleans visit website . Birmingham to New Orleans is an approximately 6-hour car ride. You can also do a combination of flight and car; or fly. Traveling from Birmingham in May, expect nights in New Orleans to be a bit warmer, around 70°F, while days are slightly colder, around 70°F. Finish your sightseeing early on the 28th (Tue) to allow enough time to travel to Austin. On the 29th (Wed), identify plant and animal life at Congress Avenue Bridge / Austin Bats, hike along Lady Bird Lake Hike-and-Bike Trail, then witness a stunning natural landmark at Barton Springs Pool, and finally get your game on at The Escape Game Austin. To find ratings, more things to do, and other tourist information, you can read our Austin trip planner. Getting from New Orleans to Austin by flight takes about 4 hours. Other options: drive; or take a bus. Traveling from New Orleans in May, you will find days in Austin are somewhat warmer (85°F), and nights are little chillier (65°F). You'll have a few hours on the 30th (Thu) to wrap things up before traveling to Amarillo. For where to stay, ratings, maps, and tourist information, refer to the Amarillo trip planner. Traveling by flight from Austin to Amarillo takes 3.5 hours. Alternatively, you can do a combination of flight and bus; or drive. Prepare for a bit cooler weather when traveling from Austin in May: high temperatures in Amarillo hover around 79°F and lows are around 50°F. Finish your sightseeing early on the 30th (Thu) to allow enough time to travel to Frisco. The Town of Frisco is a Home Rule Municipality in Summit County, Colorado, United States. On the 31st (Fri), hit the slopes at Breckenridge Ski Resort. For traveler tips, other places to visit, more things to do, and tourist information, you can read our Frisco trip planner . You can do a combination of flight and shuttle from Amarillo to Frisco in 4.5 hours. Alternatively, you can do a combination of bus, flight, and shuttle; or drive. Due to the time zone difference, you'll gain 1 hour traveling from Amarillo to Frisco. Traveling from Amarillo in May, you will find days in Frisco are much colder (44°F), and nights are little chillier (31°F). Finish your sightseeing early on the 31st (Fri) so you can travel to Salt Lake City. Kick off your visit on the 1st (Sat): contemplate in the serene atmosphere at Salt Lake Temple, admire all the interesting features of Temple Square, then take in breathtaking views at Big Cottonwood Canyon, and finally learn more about the world around you at Natural History Museum of Utah. To see ratings, reviews, maps, and tourist information, refer to the Salt Lake City road trip planning tool . Traveling by combination of shuttle and flight from Frisco to Salt Lake City takes 5.5 hours. Alternatively, you can do a combination of bus and flight; or drive. Expect much hotter weather when traveling from Frisco in June: highs in Salt Lake City hover around 89°F, while lows dip to 62°F. Finish up your sightseeing early on the 1st (Sat) so you can travel to Las Vegas. 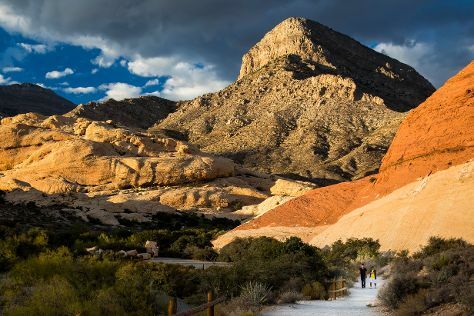 Start off your visit on the 2nd (Sun): enjoy breathtaking views from Stratosphere Tower, then get the adrenaline pumping with an extreme tour, and then take in breathtaking views at Red Rock Canyon National Conservation Area. Keep things going the next day: see human ingenuity at work at Hoover Dam, see the interesting displays at The Mob Museum, then take in nature's colorful creations at Bellagio Conservatory & Botanical Gardens, and finally don't miss a visit to Bellagio Fountains. To see ratings, traveler tips, other places to visit, and other tourist information, use the Las Vegas route planner. Traveling by flight from Salt Lake City to Las Vegas takes 4 hours. Alternatively, you can drive; or take a bus. Due to the time zone difference, you'll gain 1 hour traveling from Salt Lake City to Las Vegas. Plan for somewhat warmer temperatures traveling from Salt Lake City in June, with highs in Las Vegas at 103°F and lows at 77°F. Wrap up your sightseeing on the 3rd (Mon) early enough to travel to San Diego. On the 4th (Tue), see the interesting displays at Mingei International Museum, appreciate the history behind Cabrillo National Monument, and then admire nature's wide array of creatures at San Diego Zoo. Here are some ideas for day two: let the kids burn off some steam at Balboa Park, then see the interesting displays at USS Midway Museum, and then pause for some photo ops at The Unconditional Surrender. For reviews, ratings, maps, and other tourist information, go to the San Diego day trip planning tool . Traveling by flight from Las Vegas to San Diego takes 3.5 hours. Alternatively, you can drive; or take a bus. Traveling from Las Vegas in June, you will find days in San Diego are cooler (73°F), and nights are little chillier (64°F). Finish up your sightseeing early on the 5th (Wed) so you can go by car to Los Angeles. 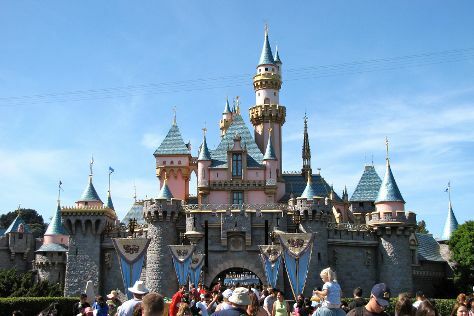 Kick off your visit on the 6th (Thu): make an unforgettable trip to Disneyland Park. On your second day here, appreciate the extensive heritage of Hollywood Walk of Fame and then find something for the whole family at Universal Studios Hollywood. To find reviews, where to stay, photos, and tourist information, go to the Los Angeles trip planner. You can drive from San Diego to Los Angeles in 2.5 hours. Alternatively, you can take a bus; or fly. When traveling from San Diego in June, plan for somewhat warmer days in Los Angeles, with highs around 79°F, while nights are about the same with lows around 62°F. Wrap up your sightseeing on the 7th (Fri) early enough to travel to Tucson. Start off your visit on the 8th (Sat): get a new perspective on nature at Arizona-Sonora Desert Museum, then take in breathtaking views at Sabino Canyon, and then take in the history at Mission San Xavier del Bac. To see reviews, ratings, maps, and tourist information, refer to the Tucson trip itinerary app . You can fly from Los Angeles to Tucson in 4.5 hours. Other options are to do a combination of flight and shuttle; or drive. You'll lose 1 hour traveling from Los Angeles to Tucson due to the time zone difference. Traveling from Los Angeles in June, expect nights in Tucson to be a bit warmer, around 73°F, while days are warmer, around 101°F. Finish up your sightseeing early on the 8th (Sat) so you can travel back home.